Daniel Degenhardt and Linnea Moody both have received Tru-Scholars fellowships for undergraduate research this coming summer. 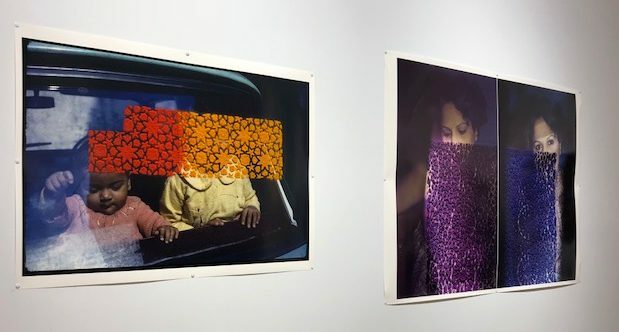 Both of them will be working with Photography Professor Priya Kambli. 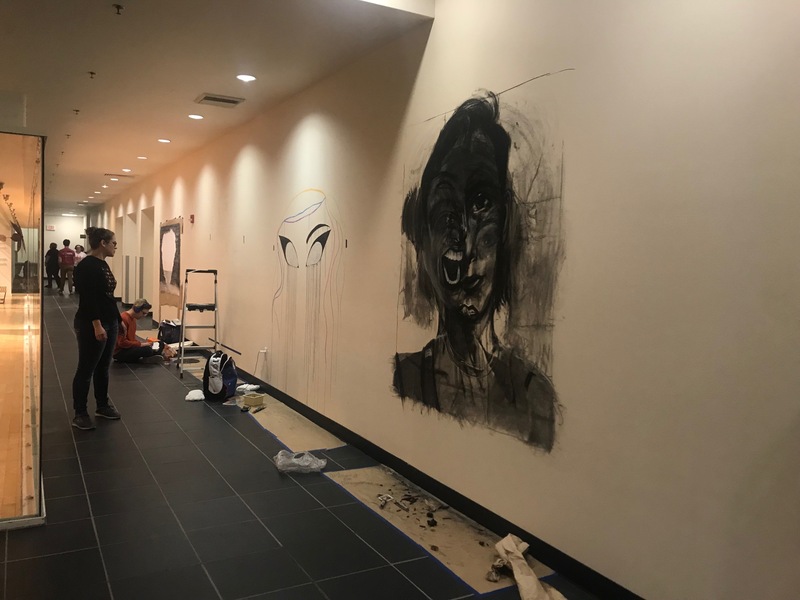 Art major Abby Moreno will be doing research through the McNair program this summer. Dr. Heidi Cook will be her mentor for that project. 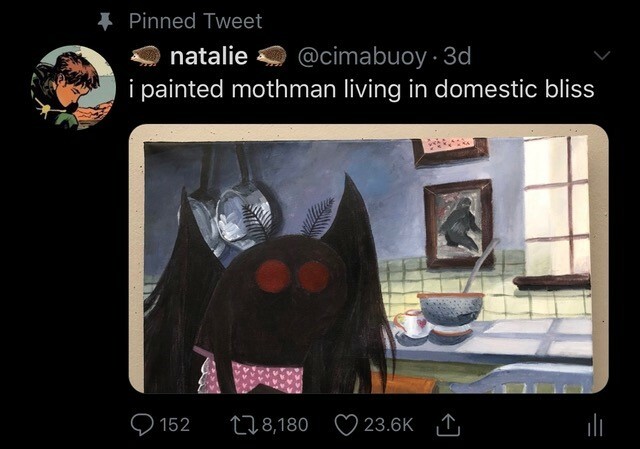 Current Art Major Natalie Gruber was surprised but pleased by the response to her painting of “Mothman in Domestic Bliss” – a painting she created in her Painting I class. When she posted it on twitter it received over 23,000 likes and was shared over 8,000 times within just a few days. Comments included those begging her to sell prints of the image, so it seems this one post has led to a new side business for her. 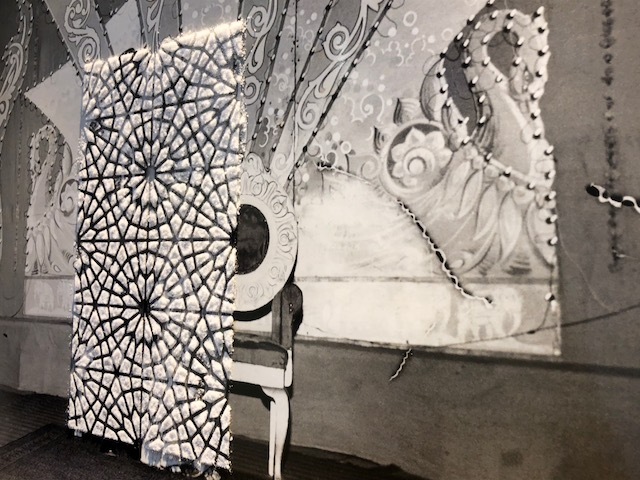 Megan’s book will be released at a celebratory reading and reception on Sunday, June 9, 2019 at 7pm. 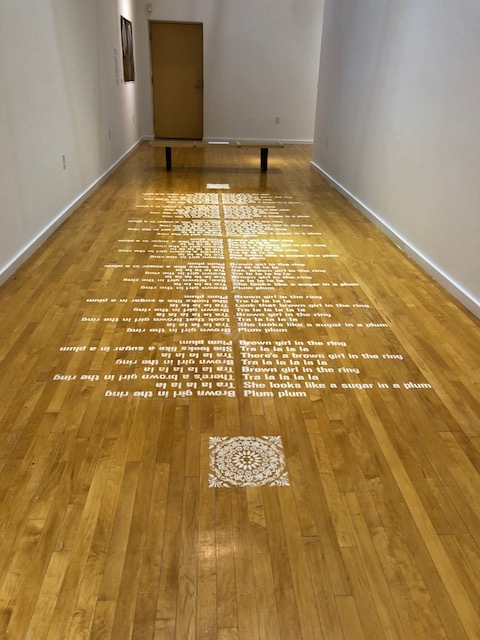 We invite the public to join us for this free event at the Writing House on the campus of the Interlochen Center for the Arts. Mark your calendars to help us celebrate Megan’s work. 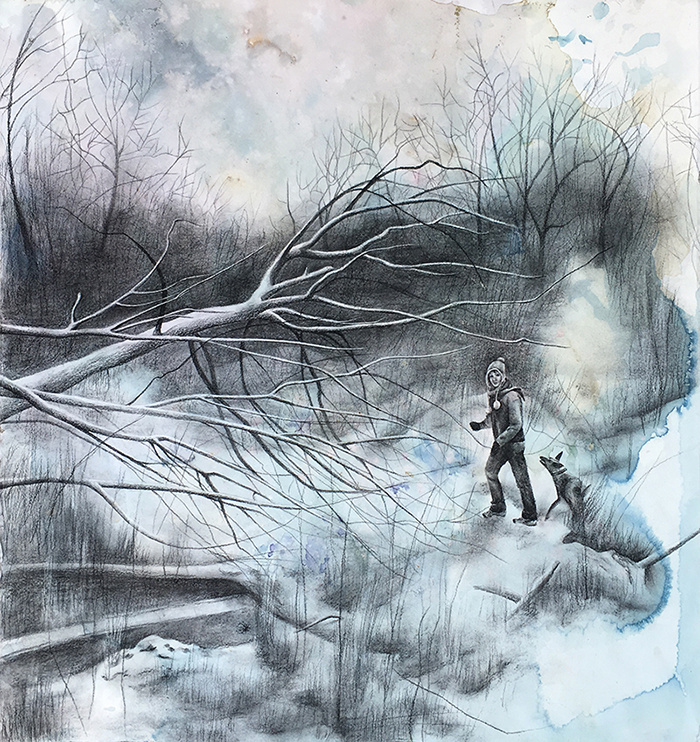 Megan Klco Kellner writes poems and makes paintings in Grand Rapids, Michigan. She holds an MFA in painting from Kendall College of Art and Design. She started writing poems in earnest during late-night feedings after her children were born. She is, above all, their awe-filled observer. Truman’s Spring 2019 semester begins on Monday. We are getting about six inches of snow before classes start, so be safe as you come back to campus. Moonlit Crossing, courtesy of the artist. 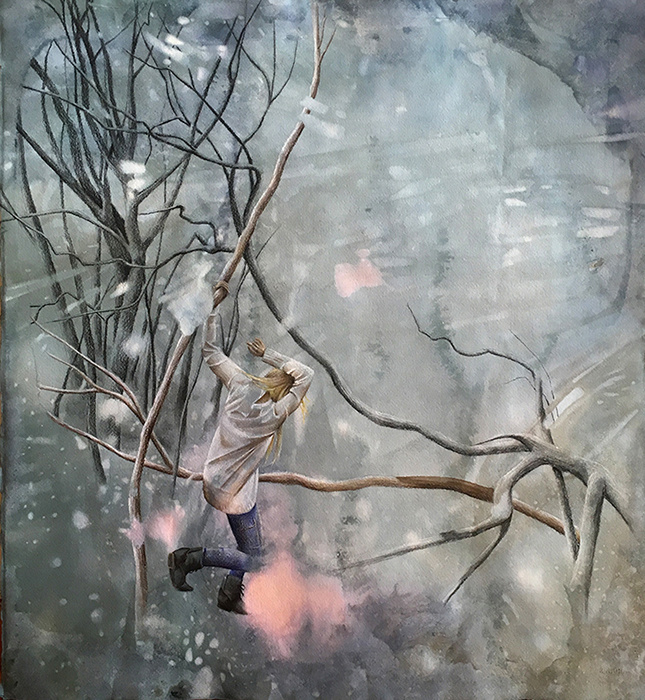 Painting professor Lindsey Dunnagan begins 2019 with a new show in the Twin Cities area (in Silverwood Park, Saint Anthony, on the northern side of Minneapolis). 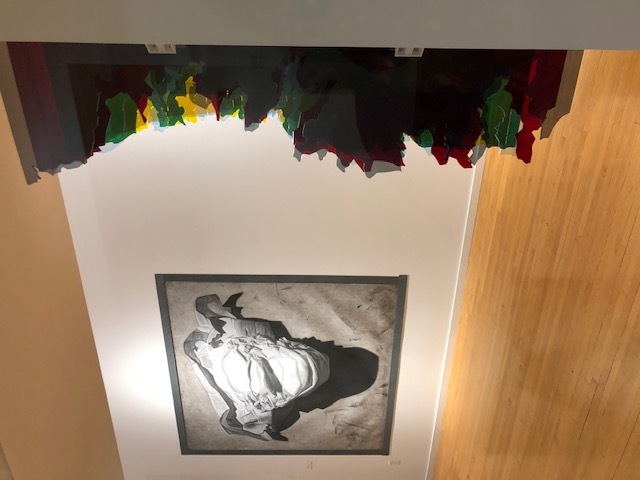 Her exhibition, “Skimming Boundaries,” was rooted in her experience with her grandmother, who battled Alzheimer’s Disease for the last ten years of her life. A Familiar Face, courtesy of the artist. In the beginning, her illness showed in small ways as she repeated stories she told just days before. Toward the middle of the disease, she began reinventing the history of her life. Toward the end, my grandmother didn’t know who I was. She lost the ability to recognize family. Conversations with her became circular as her short-term memory began to fail as well. In the moments when the recognizable parts of her seemed to flicker in and out, I often wondered where she had gone. It seemed as if a part of her was testing the waters of another realm even though her physical body remained vital. 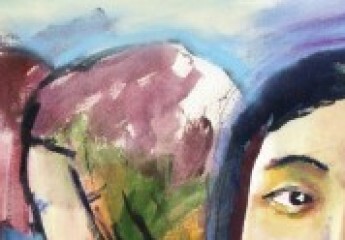 In this series, I explore the intangible world of the spirit and the boundary that separates us. Religion maps out worlds of before and after death, but even the most secular are confronted these questions. What is the journey between life and death? 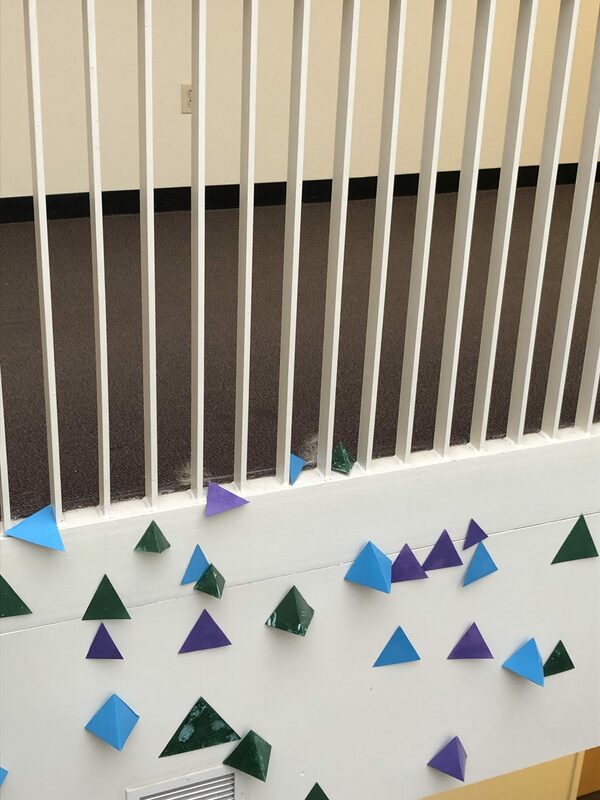 Where are the edges? 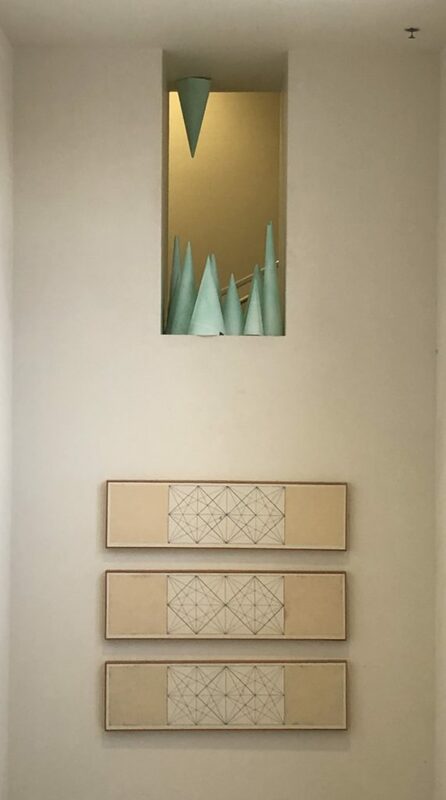 In this series, I search for what is felt but unseen. Blinking Current, courtesy of the artist. 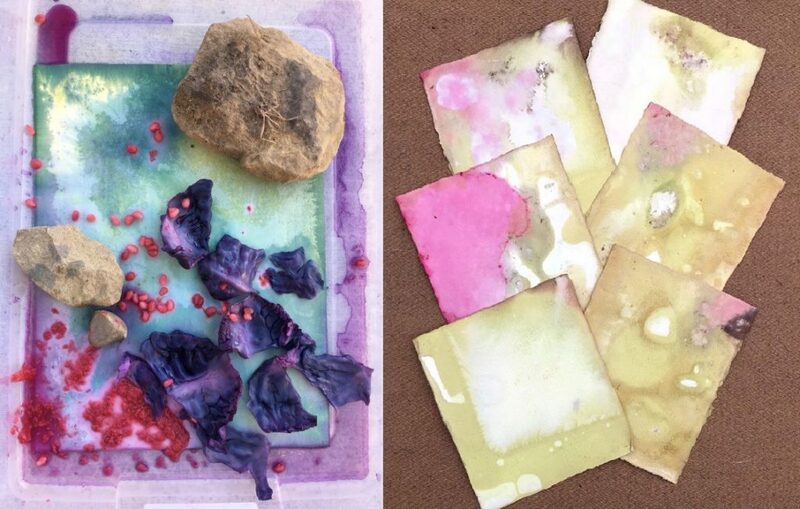 Much of the work experiments with natural dyes, a technique I learned while serving in Morocco as a Peace Corps Volunteer. Vegetation such as raspberries and cabbage are boiled and poured over mordanted paper, resulting in permanent reds, blues, and greens. 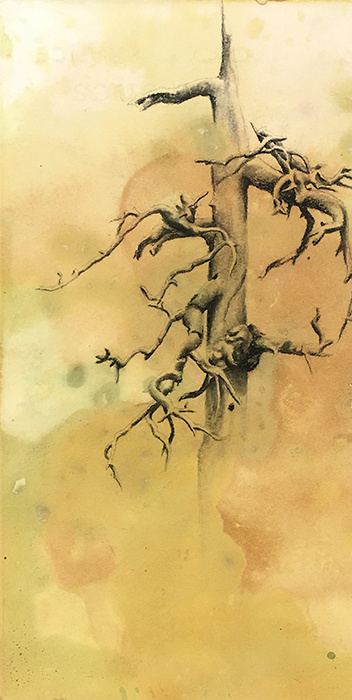 Rocks and black walnuts provide tones of sepia and simultaneously act as a resist, allowing the places they weigh down in the paper to remain white. 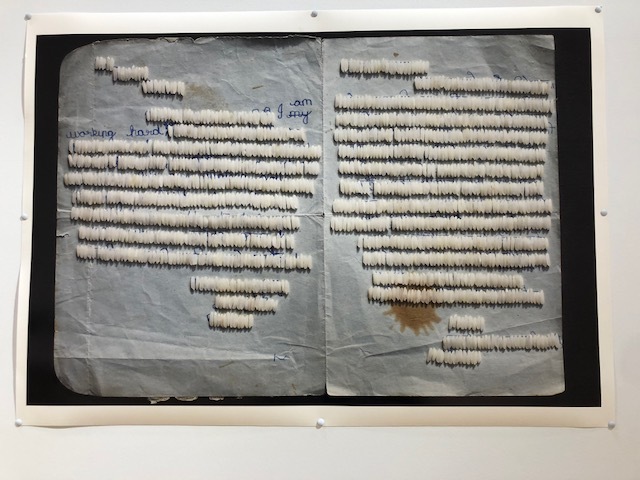 Sometimes paper is buried overnight and exposed to the rain or wrapped around trees to capture the imprint of bark. The dying process, courtesy of Lindsey Dunnagan. Stay tuned for all the exciting events coming up this spring semester at Truman. And Welcome Back! 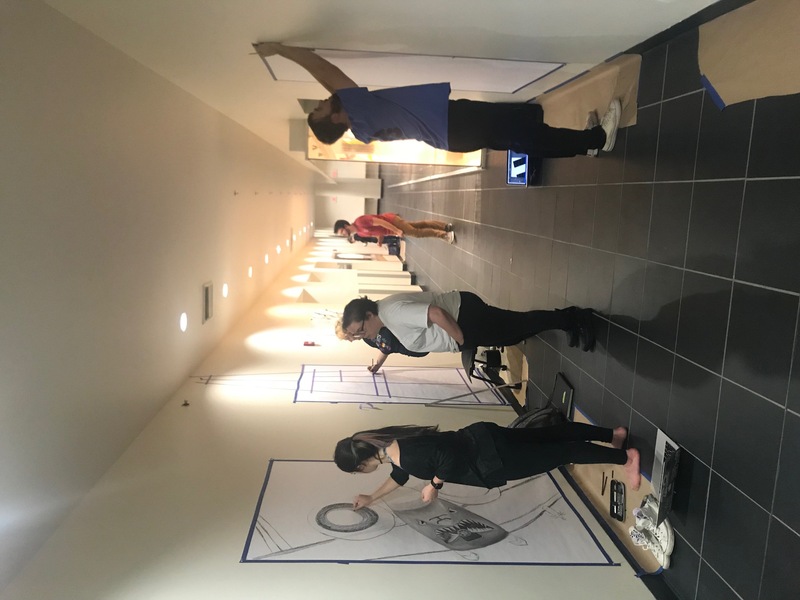 Ceramics majors and other art students made bowls for a fundraiser for the Pantry for Adair County, an organization that provides help for those in our community who experience food insecurity. The “Empty Bowl Soup Lunch” sold tickets for a meal consisting of soup, pie, and beverage. People attending could choose to take a bowl that was made by an artist, for $30, including the luncheon, or one that was simply “unique,” which only cost $20, including food. It was a big success and the students’ bowls sold out well before the end of the event. Thank you to everyone who made this a success! 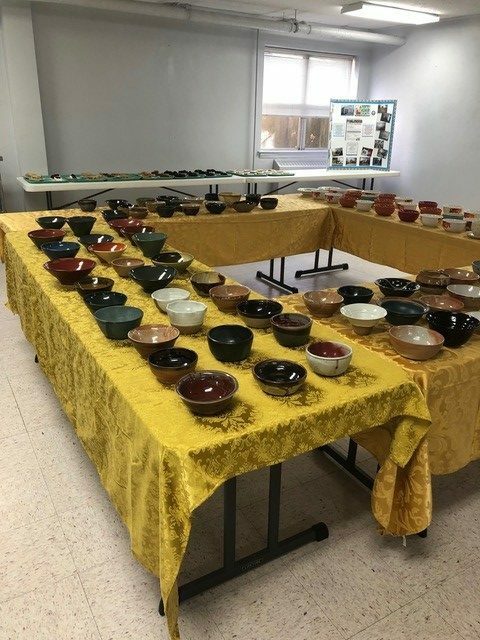 Bowls arrayed for selection at the “Empty Soup Bowl Lunch,”sponsored by the Pantry for Adair County on November 10th. Among these are many made by Truman students. 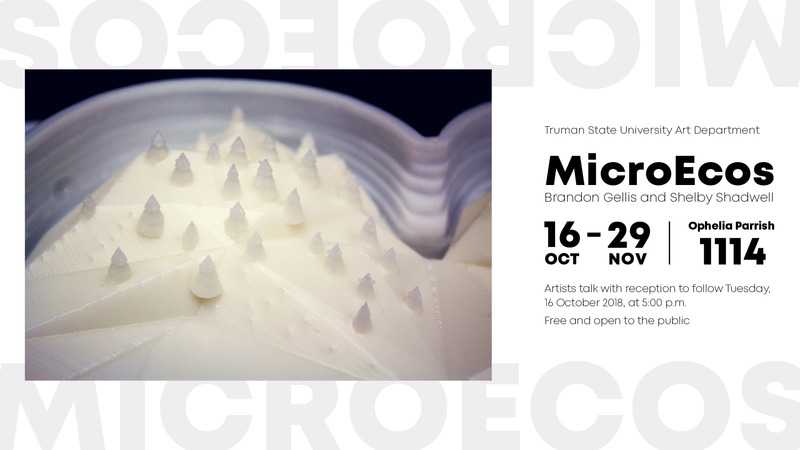 The exhibition MicroEcos is in its final week. 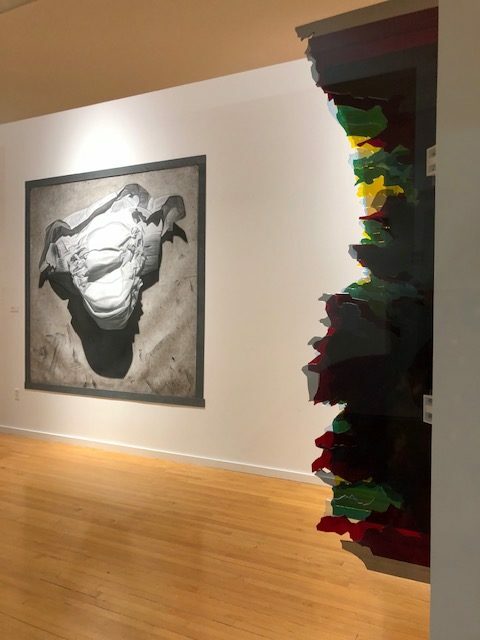 This show features the work of multimedia artists Brandon Gellis and Shelby Shadwell and includes photographs, drawings, interactive media, and sculpture of various sorts. 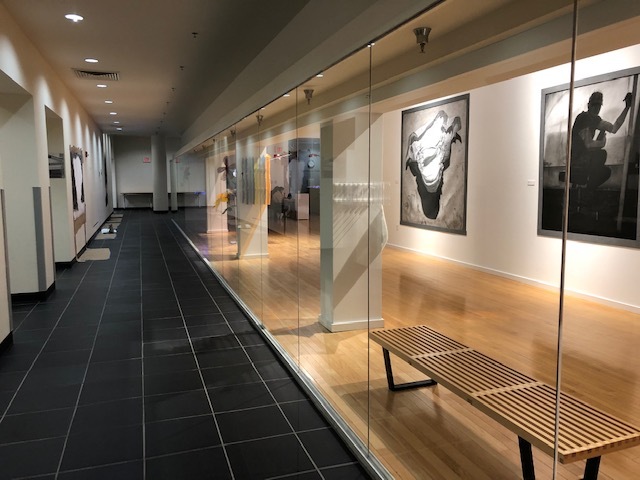 You are sure to find something intriguing in the University Gallery and the Charlyn Gallery. 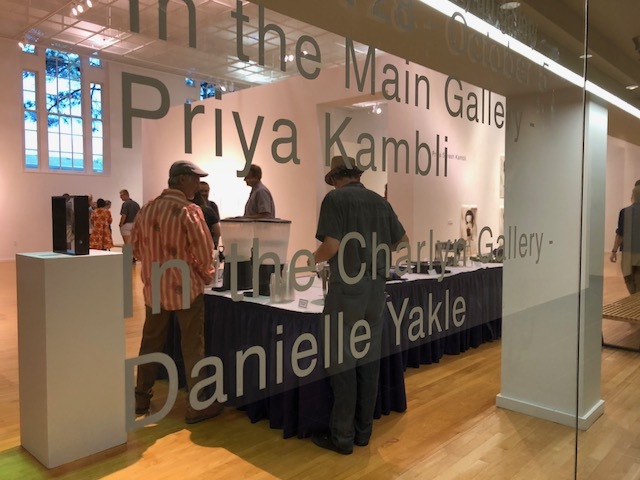 Come take a look before Friday, as Thursday is the last day the gallery will be open for you to view this wonderful work. 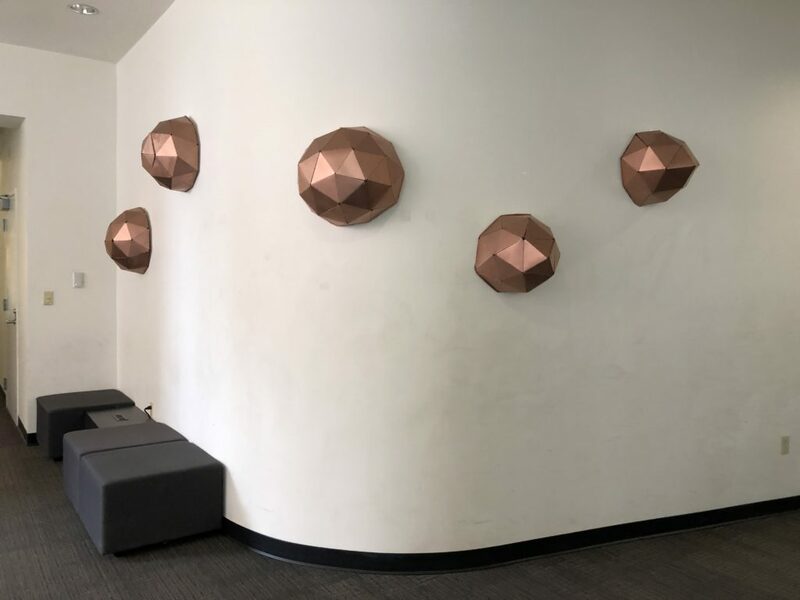 What is going on in the first floor hallway? 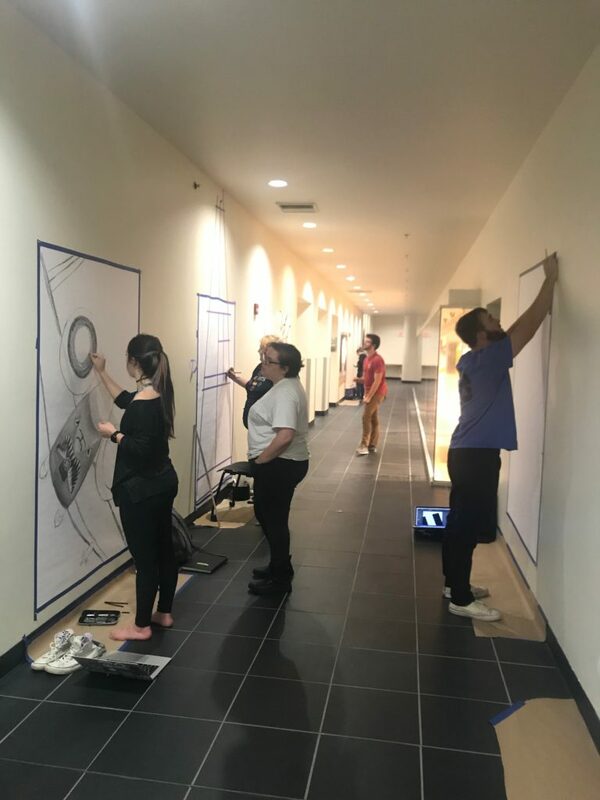 Students in the Intermediate Drawings Explorations course are working on large-scale drawings on the walls in Ophelia Parrish near the gallery. Passersby have the opportunity to see work in progress through November 14th. Finished work will remain until late November. 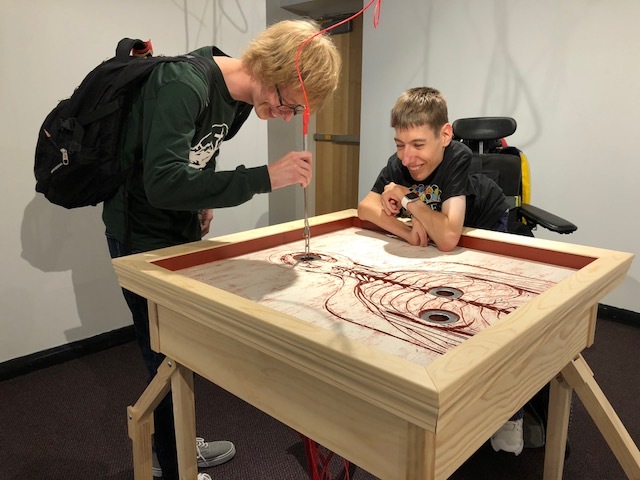 Make sure to check out the students’ work!